Organizers of Newburyport&apos;s upcoming African fashion show. 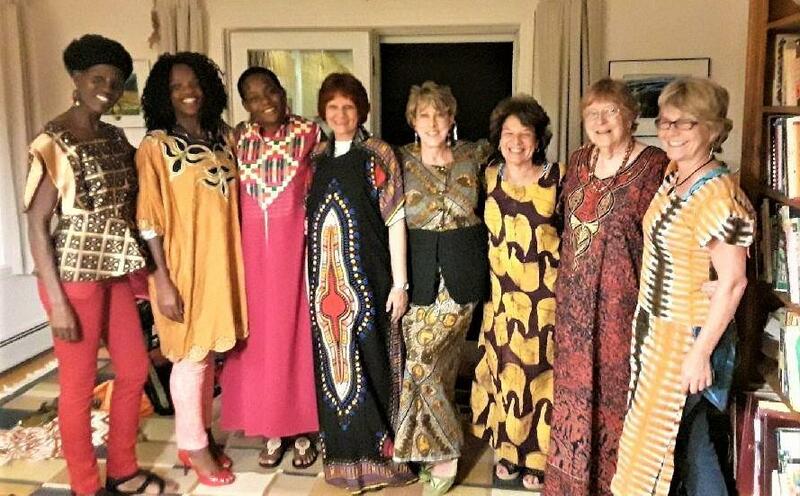 Newburyport celebrates it’s 25th year as a sister city to Bura, Kenya, on Saturday, Oct. 14, with an African dinner and fashion show. The fashion show will feature representatives from Kenya, Nigeria, Cameroon, and more. The celebration also will include an African craft bazaar, an auction, and information on projects the sister cities have worked on together. The dinner will begin at 6 p.m. at the Annunciation Greek Orthodox Church, 7 Harris St. Advance tickets for $40 or $80 for families can be purchased by calling Chris Bentley at 617-905-6371. Cost is $50, $100 for families at the door. North Essex Community College will offer two free master classes on playing the piano this fall. The workshops will be run by music professor Christina Dietrich, and will focus on learning in a group setting with opportunities for solo playing and vocal accompaniment. The classes will take place on Oct. 15 from 5 to 7 p.m. and Nov. 12 from 4 to 6 p.m. in the Hartleb Technology Center on Northern Essex’s Haverhill campus. Those interested can call Ken Langer, music department director, at 978-556-3321. EMARC, a nonprofit that works to support those with developmental disabilities, has moved into a new, larger complex on Audubon Road in Wakefield. The newly renovated 28,000-square-foot facility consolidates EMARC’s previous Wakefield office, and its Life Choices and Employment Services center in Reading. It includes larger classrooms and social spaces, a gym, and a training kitchen, where cooking classes will be held. The property is owned by the Woburn-based Cummings Foundation. The Cape Ann Chamber of Commerce is hosting a Businesswomen’s Fall Luncheon on Thursday, Oct. 12, to raise money for the Carolyn B. O’Connor Scholarship Fund, awarded each year to a woman going back to school later in life. The luncheon will be held from 11:30 a.m. to 1 p.m. at the Gloucester House Restaurant. Tickets are $35, and can be purchased at www.capeannchamber.com.